As part of the Winter School holiday program we have another Library Writing Competition for all of those young authors out there! Send your entry with your name, phone number and date of birth (DOB required!) to library@portphillip.vic.gov.au or drop it in to your nearest library branch. Enquiries to Linda Todd, 9209-6526. Winners will be notified on Wednesday, July 24. 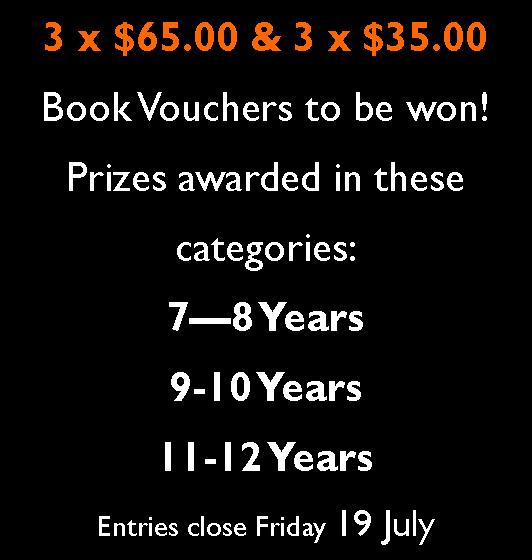 Winning entries will be published on the Lightning Readers blog!